Want to distribute your Debian packages? Bintray is the tool for you! Now it’s even better with improved support, including the current Debian repository format (a.k.a. “automatic” layout), in addition to the deprecated “trivial” layout, and signing metadata with GPG. All you need to do is upload your .deb files, and Bintray will calculate and sign the metadata (index) automatically for you. We took the excellent debian support in Artifactory and reapplied it in Bintray. Debian Repository Formats, What Do You Mean? A Debian repository contains metadata files with information on the packages it includes and their structure within the repository. The main ones are the “Packages” and “Release” files. Debian clients, such as apt-get, seek out these metadata files. This is the deprecated repository layout, however it is still used quite commonly. In this layout all the metadata files are stored in the root directory of the repository, so it can be useful when you are only hosting a bunch of files with no well defined structure in the repository. This is the default layout, and it contains information on the included distributions. Each distribution can include multiple components (e.g. “main”, “free”, …), each component can include multiple architectures (e.g. “amd64”, “i386”, …). Debian has a great feature to increase your clients’ trust – for them to be sure they are downloading your packages and not some other phony packages. This is done by using GPG to sign the “Release” file. Each “Release” file includes hash values of all the relevant “Packages” files in the distribution. The “Packages” files include hash values of all the included .deb files. So by signing the “Release” file it actually signs the entire distribution! You can have Bintray automatically sign your metadata with GPG for you. All you need to do is set the GPG key for the the user or organization who owns the repository. You can even have your GPG key require a passphrase (read on). Don’t want to set a GPG key? No worries – your metadata is still there, just not signed. Bear in mind that your clients will need to approve using your unsigned repository. You can upload files using the REST API or from Bintray’s UI. If your repository has the “automatic” layout, Bintray needs to know which .deb file is included in each distribution, so each uploaded .deb file must be assigned with the distributions, components and architectures to which it should be included. More information on the REST API can be found in the Bintray documentation. 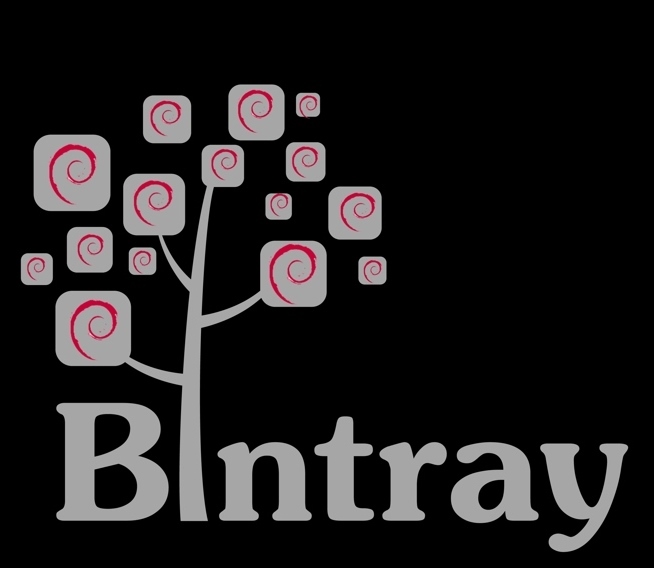 So, Debian and Bintray just go hand-in-hand. You get everything you need for your Debian distribution – automatic metadata calculation, GPG signing, download statistics, new release notifications, and a fully-automated, super reliable and fast download platform. This is in addition to all the other great features Bintray has. Now you can focus on developing your packages – Bintray will take care of distribution! This entry was posted in Consuming Binaries, How-To, Packages Metadata, Publishing Binaries and tagged debian. Bookmark the permalink. Any ideas why i get this error and how to fix it ? 1. In order to upload content to your repository a package should be created prior to the upload attempt. This path is missing the relevant package name and also the location of the file name to be deployed comes before the file path.